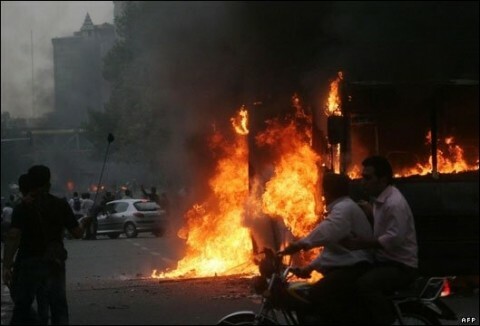 If you are not on Twitter, you are missing out on news from the Iranian Election Protests. Important keywords to follow: #CNNFail, #IranElection, #Mousavi, Tehran, Twitter Blasts CNN. It is quite the day when I am missing nothing by not having CNN, but would miss quite a lot without Twitter. Previous PostVideo for ‘Trapped in the Drive-Thru’ by Weird Al YankovicNext PostNo, not everyone. Only you. Fearless Iranian people thank you. We have been waiting for this moment for many years. I hope the Change will bring equal rights for women, children and men of Iran.